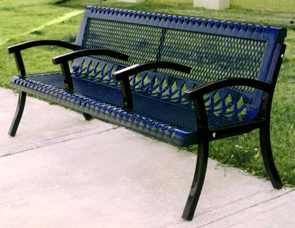 This diamond pattern bench is designed and contoured for maximum comfort. 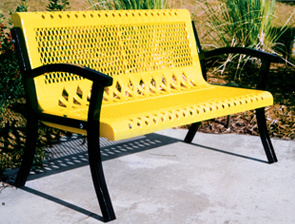 The back/seat is made of thermoplastic coated #9 expanded steel that is finished with lightly textured matte Polyethylene color. The frame is powder-coated for durability. 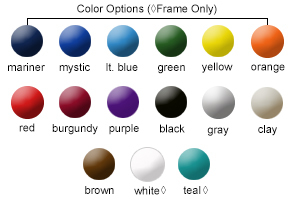 Available colors shown.